We recommend you view the PDF here. Empire Justice Center strongly supports A.5633-A (Weinstein)/S.3836(Krueger) which amends Tax Law § 171-V by exempting low income people from losing their driving license privileges when they do not have the means to pay their delinquent tax debts. Empire Justice Center has represented hundreds of low-income workers in Upstate New York facing barriers to meaningful and productive employment caused by wage theft, dangerous working conditions, and employment discrimination. This legislation will help permit low income people to keep their employment by permitting them to retain their driving privileges when they are unable to repay their delinquent taxes. 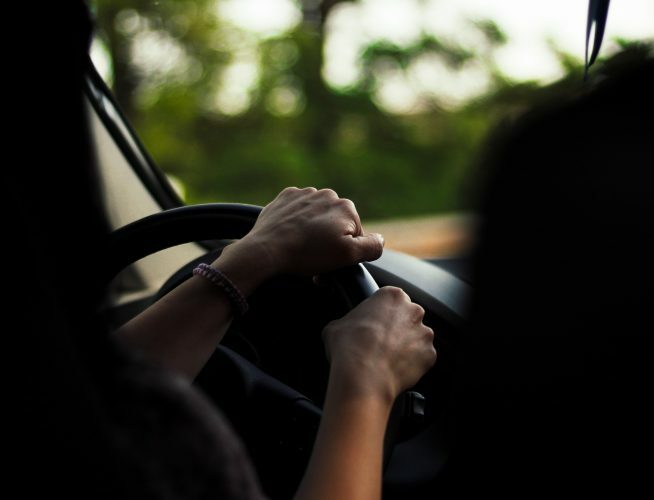 As set forth in the legislation, persons who receive public assistance, supplemental security income, or whose income does not exceed 250% of Federal Poverty Level (FPL) (currently $30,350 for one person) would be exempt from the driver’s license suspension law. See proposed Tax Law § 171-v (3)(ii),(iii). Those persons who receive public benefits certainly face substantial hardships in paying for food and basic shelter, and have little, if any ability to pay delinquent taxes. For the working poor in Upstate New York, the state minimum wage is now $11.80 per hour, which is the lowest geographic minimum wage rate in the state. A minimum wage earner’s annual net income (after federal and state) taxes totals $20,015.32. Setting the exemption at 250% FPL would allow many working poor throughout New York State to continue to legally drive a car to and from their minimum wage jobs and have the chance to pay down their debt. For low income people, the loss of a driver’s license can be economically devastating. A 2007 study conducted by the New Jersey Department of Transportation found that 42% of people with a history of suspension lost their jobs when their licenses were suspended, and many were unable to find another position. Further, many low wage workers cannot rely on or do not have access to public transportation. According to a 2011 Brookings Institution study, in the Albany-Schenectady-Troy region, only 35.6% of jobs are accessible by public transportation. Those who continue to drive while their license is suspended face serious criminal penalties. In Rochester, some 17% of all City Court criminal cases involve some aspect of unlawful vehicle operation: driving without a valid license, insurance, or proper valid registration, which are essentially crimes of poverty. Conviction for these criminal penalties creates only larger barriers to gainful employment. Thus, the working poor who are unable to have their driver’s licenses reinstated face two irresolvable choices: they may risk driving to work, which is a criminal act, or comply with the suspension and be left essentially unemployed (or underemployed) because they do not have transportation. In this respect, suspending a low income person’s driver’s license is one of the most counterproductive ways to affect debt repayment; without a driver’s license, low income individuals cannot work to pay off the continuously mounting taxes, fines and fees. For these reasons we strongly support the proposed statutory hardship exemption for those with no present ability to pay, see proposed Tax Law § 171-v (5)(ix); and the proposal for the threshold amount triggering license suspension to be adjusted periodically in alignment with the inflation rate. See Tax Law § 171-v(1). Wages calculated at minimum wage for forty hours per week ( $472.00 per week), for fifty-two weeks a year with 1 exemption and $71.87 federal taxes and withholding; $15.22 in New York State taxes and deductions See https://www.paycheckcity.com/calculator/salary/. Tomer, Adie, The Brookings Institution, Missed Opportunity: Transit and Jobs in Metropolitan America, at 35, available at: https://www.brookings.edu/wp-content/uploads/2016/06/0512_jobs_transit.pdf. Driving when a license is revoked or suspended may subject the driver to the charge of Aggravated Unlicensed Operation (AUO or 511-1a or AUO-3rd degree), and depending on the circumstances, a felony or misdemeanor punishable by a mandatory fine of $200–$500, a mandatory surcharge, and possible imprisonment of up to 30 days in jail or 30 days of probation.